Equal parts classic and refined, there’s nothing like a MINI. 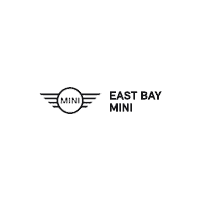 Here at East Bay MINI, we’re proud to offer one of the most comprehensive selections of new MINI cars for sale in all the Bay Area. Don’t believe us? Simply browse through our current inventory of 88 new MINIs, and you’ll see just what we mean. From the storied MINI Hardtop 2-Door to the adventurous MINI Countryman compact SUV and everything in between, Pleasanton MINI shoppers are sure to find a model they’ll love at East Bay MINI. Browse our online inventory of MINI cars for sale below, in addition to our current MINI lease offers. Once you’ve found the MINI you love, calculating your monthly car payment and applying for financing are easy! Contact our Bay Area MINI dealership today for more information or to schedule your test drive.